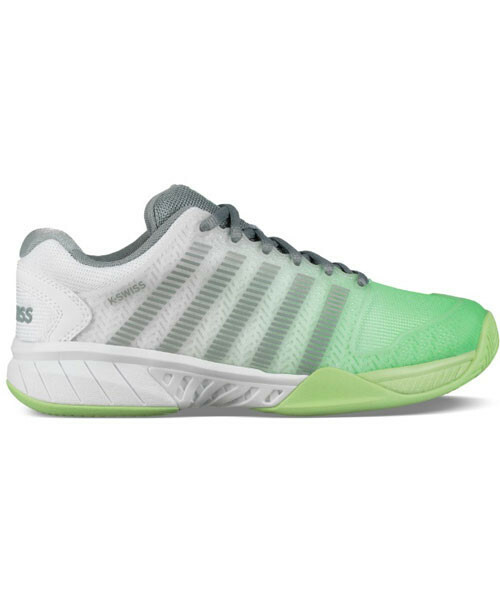 The K-Swiss Women's Hypercourt Express Shoes in White / Paradise Green are lightweight tennis shoes designed for performance and comfort. 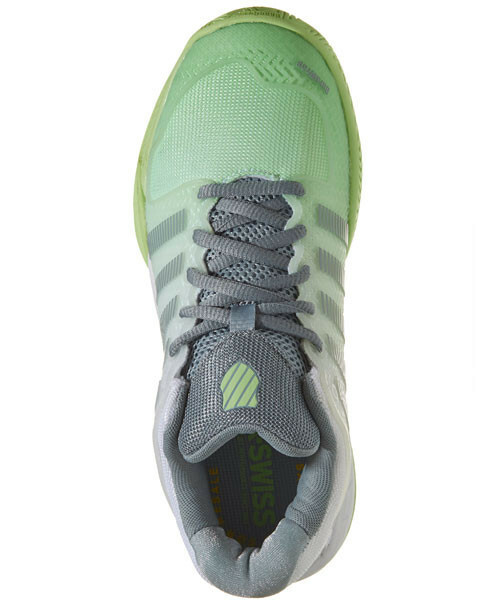 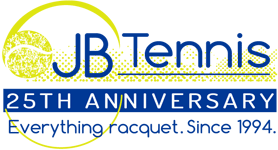 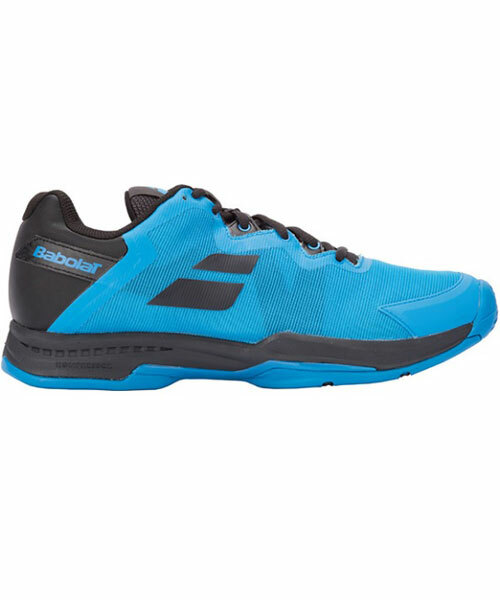 Its upper is constructed with Seamfree™ technology, a state-of-the-art heat welded seamless construction method that bonds layers of TPU onto breathable tech mesh for flexible support without stitching. 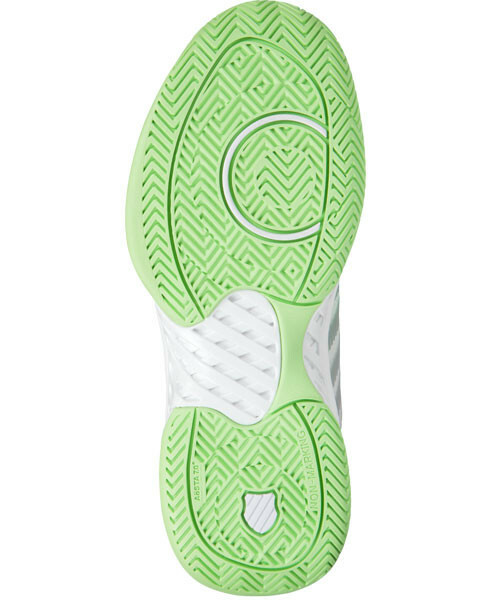 On the inside, a well-padded ankle collar provides comfort and stability while a die-cut EVA sock liner adds responsive cushioning underfoot. 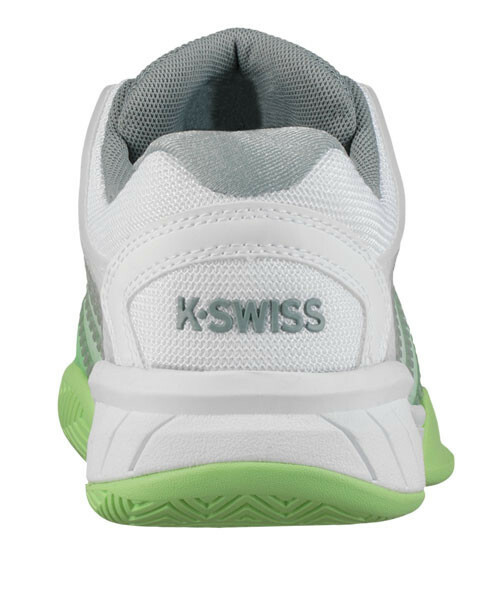 The Hypercourt Express’ outsole is made with K-Swiss’ signature Aösta II high-density rubber and features a herringbone tread, creating a sneaker designed for unsurpassed durability and performance on any surface.